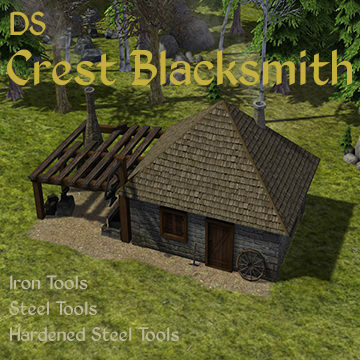 the Crest Family Blacksmith, produces Iron, Steel & Hardened Steel Tools. employs 1-2 Blacksmiths. Requires 89 work to build. - Download from above the latest .zip file. - unzip the file (right-click on file, and select unzip/extract/etc). 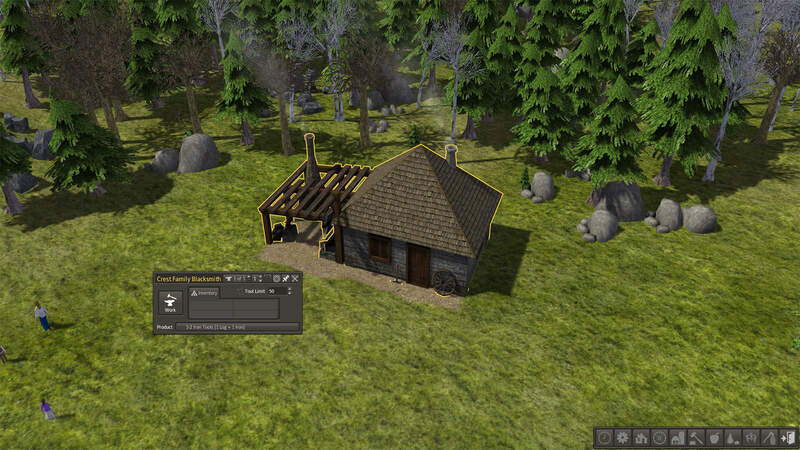 - place DSCrestBlacksmith.pkm inside your Banished/WinData folder. - removed Fishing Gear resource. - renamed files to stop conflicts. - added AO to models. - various mesh and texture edits. - text and icon changes. - updated DS toolbar files.